For many years now, since her return from the Falklands, the Ilen has been nursed back to strength by the best of Ireland’s traditional shipwrights in Liam Hegarty’s yard in Oldcourt. 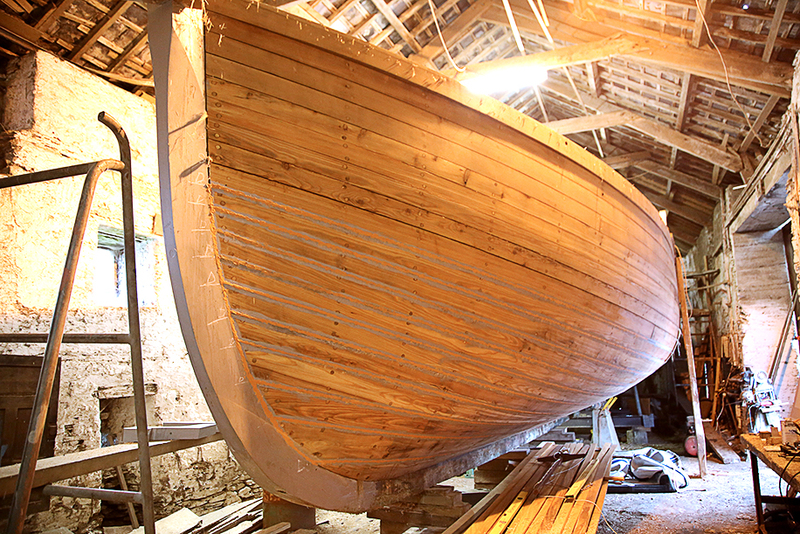 To those who wondered whether and when, to those who asked about times and seasons, the answer was that the destination was the journey itself, and that the Ilen served as an educational platform at every stage of her transformation. But now, in these our own times, the sailing ship, the final cause that has informed so much work and inspired so much learning over the years, is irresistibly heading for the sea on a cast iron real time track that leads ineluctably to her destiny. 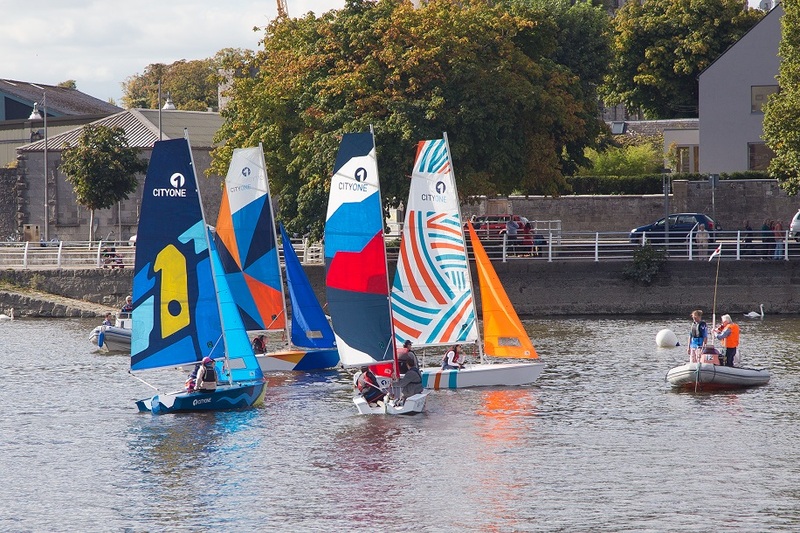 Our maritime school, with its well charted certainty, feels the ground move under its feet as it is carried off in surprise to a new life of pupils and teachers all at sea. 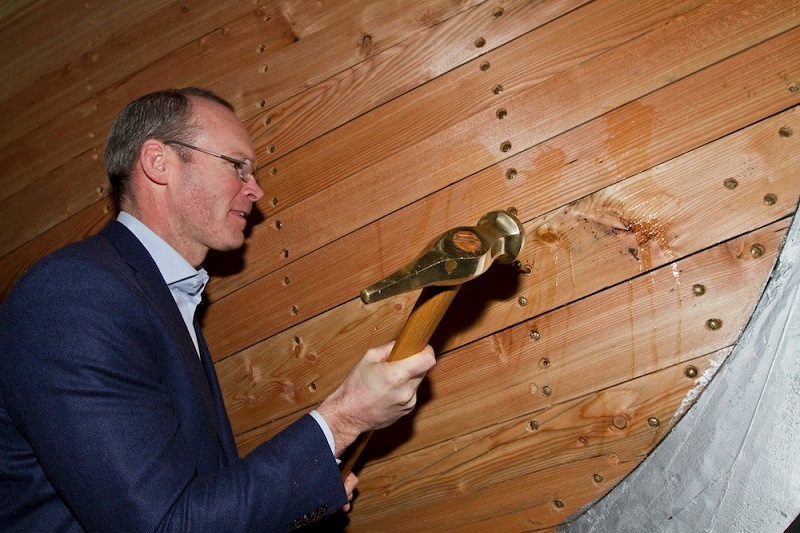 In the summer of 2016, the Ilen will sail away from the eponymous Ilen Estuary and move more than nine waves out from shore to retake Ireland from the sea. Clearing Clear Island and Mizzen Head she will enter the mysterious arena of the quick and the dead where Donn, the Bull leads the Cow and the Calf, and all who come under his protection, to another world, to the West, to the end of life and its beginning. Oilean na mBeo and the great temple of Sceillig Mhichil marvel and suggest another way under the bright shining banner of Archangel Michael, Psychopompous and leader of souls. Taking a course West of the Blaskets to view them from the sea and the wonders that brought us here in the first place, we will soon have Cuchulain’s Leap to port as the Ilen enters the Shannon Estuary for the first time in ninety years. Here every care will be lavished upon her as she prepares for her playful role of introducing Ireland’s youth of all ages to the oceans, letting them ride on her back and tug her locks as they unfurl and trim her sails, and enjoy the salutary terrors of the waters as they learn the sure uncertainties of life. She will be joined by those who wish to trade their limited certainties for the elemental dynamism of the sea. For nothing more surely searches out the resonance of the deep buried treasure of our inner selves. Deep calls upon deep in the roar of mighty waters. Abyssus abyssum invocat. 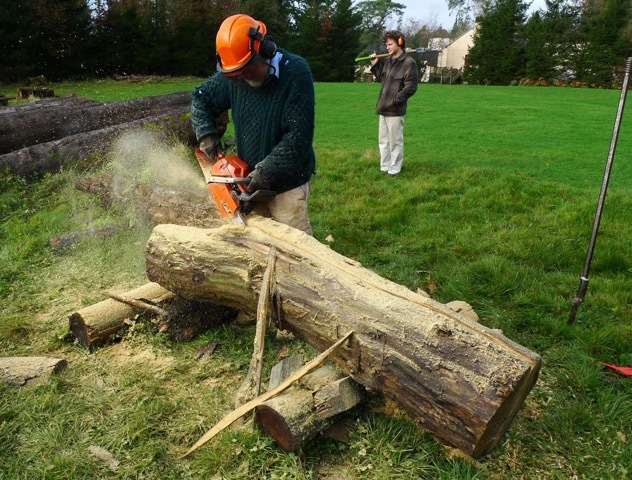 Caption: Br Anthony Keane, Glenstal Abbey, saws Black Locust for Matt Dirr, who stands patiently in the background, eager to shape this extremely hard and rot resistant wood for gaff jaws on Ilen’s new rig.